CHORIZO PAMPLONA. 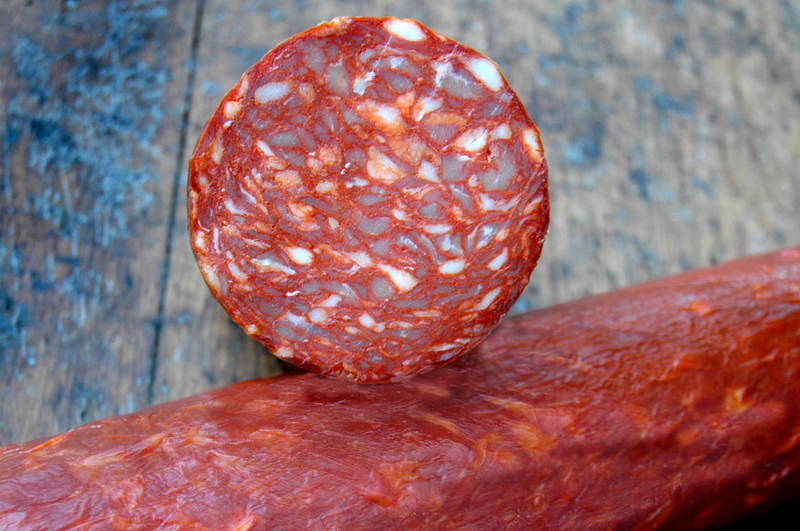 Using our traditional chorizo recipe, this is an air cured salami designed with a coarse grind and paprika driven, to give a strong flavour and dry finish. CHORIZO PAMPLONA: The GIANT is, well.. giant. Approximately 100-110mm in diameter, the Giant uses a very coarse grind which develops a more delicate flavour. Perfect for sandwiches and charcuterie boards.